A 'Collision' Of Beliefs: Atheist Vs. Theologian Last fall, journalist, literary critic and proud atheist Christopher Hitchens went on a debating tour with Pastor Douglas Wilson. The topic: "Is religion good for the world?" They filmed their debates and edited them for a new documentary, Collision, which opens next week in selected cities. Last fall, journalist, literary critic and proud atheist Christopher Hitchens went on a debating tour with Pastor Douglas Wilson. The topic: "Is Christianity good for the world?" The argument started with the release of Hitchens' book, God Is Not Great. Instead of a regular publicity tour, Hitchens wanted to debate the thesis of his book with anyone willing to take on the challenge. Wilson answered the call. They filmed their debates, and then edited them for a new documentary called Collision. "I think there is no role for faith, no useful role, of any kind — and certainly not the Christian one," Hitchens tells NPR's Guy Raz. But, Hitchens says, "one of the reasons this argument never becomes tedious to me is because I have a great respect for religion and for the role it's played in the evolution of the human species. It was our first attempt at cosmology, at philosophy. It was, in many ways, it was our first attempt at literature." Wilson responds to Hitchens and other atheists by saying that atheists are terrible at being atheists. "It's not a question of whether we have faith, it's what we have faith in," says Wilson. "Christopher has faith in the role of scientific inquiry, rational inquiry. He has faith in that process. Christopher is as much a man of faith as I am." Along with faith, Hitchens and Wilson debate whether morality can exist without religion, and the plausibility of Christianity. Given the length of time humans have been on Earth, Hitchens argues, why did God only reveal himself late in our existence? Both men think the other is absolutely wrong and are comfortable with that because each knows, exactly, the other's position. "You can tell an enormous amount about somebody once you know where they stand as to we being the product and object of a divine design, or those of us who attribute our presence here to the laws of physics and biology," says Hitchens. 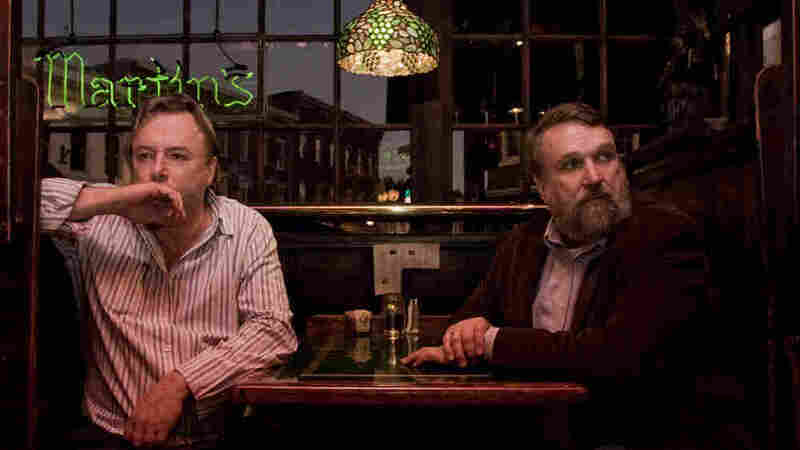 Watch A Clip: Christopher Hitchens and Douglas Wilson debate faith and God in Collision.